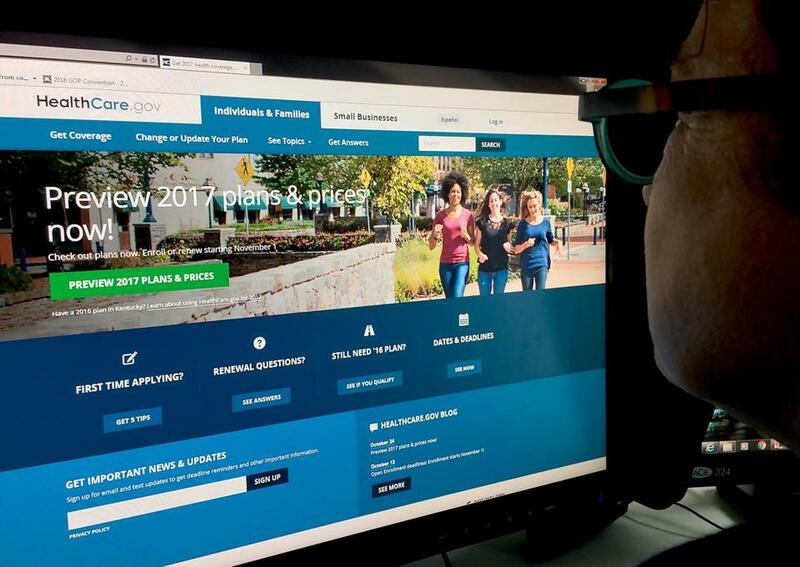 Is Obamacare entering a downward spiral? Obamacare premiums are going up. Obamacare is about to get a lot more expensive. Look at the insurance plans being offered through Affordable Care Act exchanges, and you find that premiums are set to increase a whopping 25 percent next year. Is this the beginning of the end, the first sign of a downward spiral that could ultimately undo President Obama’s signature achievement? Or is it a one-time course correction, a blip that will barely register in people’s budgets? It’s too soon to say for sure. But the fact that Congress and the president are doing little to address this problem suggests that the biggest threat to Obamacare may still be political. Sooner or later, the program will need to be adjusted — whether to fix this issue or some other. And with the Republican Party fully committed to its demise, even narrow fixes have become impossible. What’s behind these price increases? Keep in mind, we’re talking about a small part of the overall health care system. Elsewhere, things look a lot rosier. Total spending on health care has been increasing far more slowly, as have the premiums for employer-offered plans. What’s more, in just a few years Obamacare has dramatically reduced the number of uninsured Americans, in large part thanks to the expansion of Medicaid. But in the other part of Obamacare — not the Medicaid expansion but in the buy-it-yourself exchanges — things are different. Insurance companies are dropping out, plan options are shrinking, and prices are going up. The average increase for 2017 is expected to be around 25 percent, and there are seven states where premiums are set to jump 50 percent or more. Lack of competition is a big factor. Remember, the exchanges were setup with a “big government meets free markets” framework: The feds require all citizens to purchase insurance, and the states set up marketplaces where people can do so (if they can’t get it through an employer). But as with any free market, you need competition to help keep prices down. And competition is increasingly hard to find. This is particularly true in rural states, where sparse populations and limited health care providers make it less lucrative for insurance companies. This may explain why Massachusetts seems strangely immune to this year’s big jump in Obamacare premiums; ours are set to drop 3 percent. Part of it is simply that we’re a densely populated state with a lot of health care providers and ample opportunity for insurers to make money. Hence, more competition and more pressure on prices. It helps, too, that Massachusetts’ citizens are used to the idea that they must buy health insurance, since we adopted a state mandate years before the federal rules went into effect. Elsewhere, it seems like people may be bucking the law and forgoing insurance altogether. That’s illegal, but penalties are relatively low. So some healthy folks just take their chances. And that results in exchanges that are imbalanced, with too many sick people and not enough healthy ones for insurers to cover their costs. It’s not yet clear whether this year’s big price increases portend ill for the future of Obamacare. But here’s a flavor for the arguments on both sides. • Few people will ever pay these increased premiums. Roughly 85 percent of those who purchase insurance through exchanges qualify for pocket-protecting subsidies. • Even with a 25 percent jump, premiums are still in line with what the architects of the program originally projected. Perhaps all we’re seeing is a course correction. • The same forces that have sapped competition from the exchanges will continue into the future, leading to even greater price increases. • Unchecked, this could set off a downward spiral. Think of it this way: A dearth of healthy people in the exchanges forces insurers to raise prices, which persuades even more healthy people to forgo health insurance, which drives prices up again and again. Here’s the overarching problem. Even if Obamacare is entering a downward spiral, we should be able to pull out of it. For instance, we could draw more healthy people into the exchanges by meting out stiffer penalties for those who refuse to buy insurance. Alternatively, a better reinsurance system might embolden more insurers to take their chances in the Obamacare marketplace. But how to make these changes? When only one of our political parties supports Obamacare and only one candidate has a plan to fix it: Democratic nominee Hillary Clinton. The Republican Party platform calls for the abolition of Obamacare — not it’s remediation. And that would essentially hit reset on America’s health care system, pushing the insurance rates back up and requiring a new, largely unspecified plan to ensure that people have access to care. For now, with Donald Trump well behind in the polls and Democrats possibly regaining control of the Senate, repeal seems a distant possibility. But sooner rather than later, Obamacare will need to be tweaked. Every program requires adjustment over time, and we’ve learned enough from the early years of Obamacare to realize it needs oiling. Only, in the case of Obamacare, this kind of routine maintenance has become politically impossible, leaving our current exchange-based health care system careening from crisis to crisis, without hope for a reasonable fix.